2. 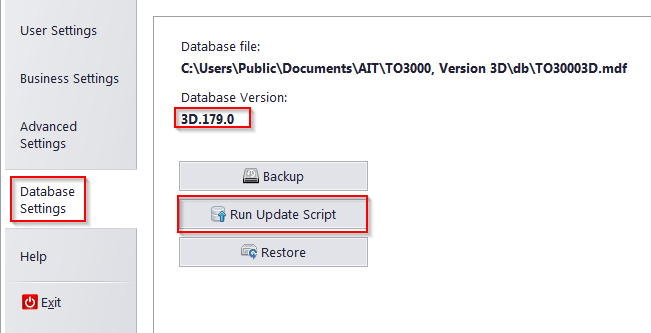 To begin updating the database click the "Run Update Script" button. 3. In the Open Database Update Script window, please select the script, the first number of which matches the number of your current database version. For example, if your database version is 179, select the dbx179to180.ptu script file. 4. Begin the update process by clicking the Open button. The program will prompt you to back your database up. Click the Yes button. 5. Repeat step 4 until your database version is up to date.